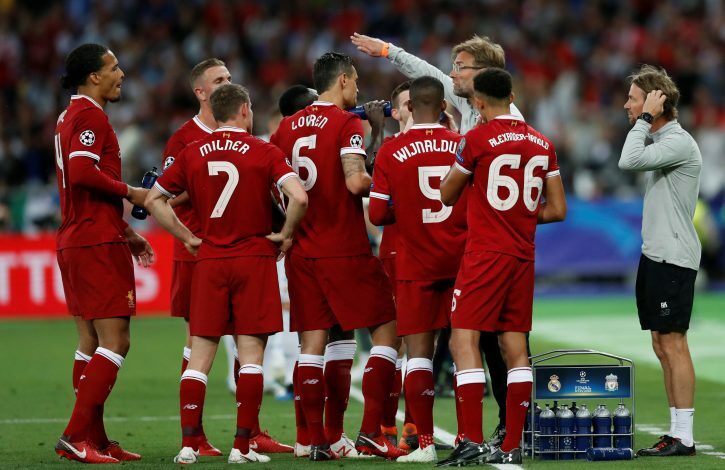 Liverpool will be gutted by how their Champions League final against Real Madrid turned out to be. And with the transfer window in full fledge at the moment, worries may also exist as to the future of their own talented players. Besides that, the Merseyside club has also been linked with numerous talented players, with an attacking midfielder looking to be the likely name in contention to join. Now, as per Portuguese outlet Record (via Express), the Anfield outfit is leading the race to sign Talisca. The Brazilian, who is currently on loan at Besiktas from Benfica, has been linked with the club for quite a while now. Functioning primarily as an attacking midfielder, Talisca is also heavily wanted by Roma, but Liverpool may have the upper hand. Premier League rivals Manchester United are also believed to be showing interest. The 24-year-old put in a splendid loan spell with the Turkish club, having scored 20 goals and assisted 7 more in all competitions. It is important to note that the player has been linked with Liverpool from numerous windows in the past without any deal materializing. However, the source adds that Besiktas opting not to activate the permanent deal clause of the loan spell is what has alerted Jurgen Klopp to try and lure him away. The player himself is believed to be quite open to the move, but is waiting on a concrete offer to arrive from England first. While no clear fee is doing the rounds, the Brazilian is rated at around £35 million. If signed, he is expected to play second fiddle to Liverpool’s more concrete summer arrival – Nabil Fekir. The Lyon midfielder is expected to switch clubs, and a deal could be in the works early next week. But the bigger question is, how will Talisca fit into Liverpool’s long-term plans? If Benfica oblige, that is.